The government of India, Madhya Pradesh Postal Circle has advertised a notification for the recruitment of Gramin Dak Sevak (GDS) vacancies in various divisions. 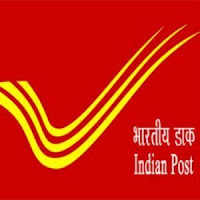 Those candidates are interested to the vacancy in MP Postal Circle and completed the all Eligibility Criteria can read the Notification & Apply Online. The candidate should pass 10th standard from approved state boards by the respective State Govt. / Central Govt. No weight will be given for possessing any qualification(s) higher than the mandatory educational qualification. The Candidate passed Xth class examination in the first attempt will be treated as meritorious against those passed compartmentally or equivalent from a recognized Institute for MP Postal Circle Recruitment 2018. Eligible & Interested candidates can apply via online in Official website page in www.appost.in MP Postal Circle Recruitment 2018. Log on to MP Postal Circle careers page at the official website www.appost.in. Complete the MP Postal Circle Jobs Application Form with the essential data. Take a print out of MP Postal Circle Recruitment 2018 online application form.